This interview with Ting Xu was conducted at the Future Workshop Thailand/Myanmar/China/Cambodia. Ting Xu is Project Manager at the Beijing New Century Academy on Transnational Corporations in China. Germany is phasing out of nuclear power. China is about to build 40 new plants. What are the reasons for this massive investment in nuclear power? From my knowledge and understanding, yes, China definitely will build more nuclear plants across the country. But the public does not have full access to the information, where and when they will be built. I think most of the new plants will be located in the Eastern area, because the energy demand in that area is much higher than in the Western areas. The Chinese government claims that nuclear power is a renewable power. Secondly, they say it is clean and sustainable, and that it can meet the increasing demands of the population in China, and especially the industries'. Thirdly, local governments can get financial support from the state government to invest in this kind of plants. So, unlike in Western countries, where local governments don't want nuclear power, most Chinese local governments compete for these projects. They want that big investment. And if there was corruption, local government officials can benefit from that. There are many local protests, but as I already said, the public does not have access to information. Also, public protest is not permitted in China. 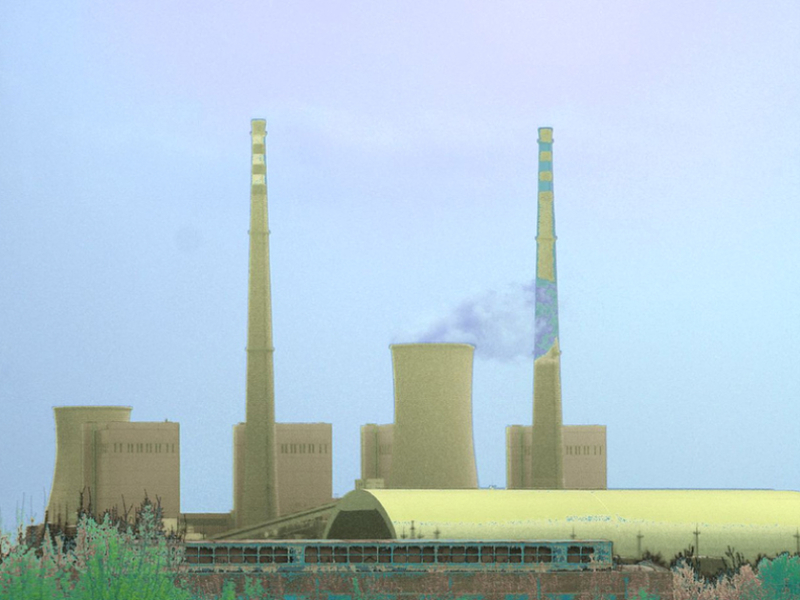 After visiting the area of Gorleben, what are your thoughts about this booth of nuclear power in China? Is the question of waste an issue in the discussion? After I visited Gorleben yesterday, I am impressed by the movement and the representatives of the nearby local communities, whom we met. They are very active and professional. In China I have not met many civil society groups who have that profession. It is a very technical issue in China. I think only the government and the companies in charge of waste have full access to the information. After visiting Gorleben, I have doubts about what will happen in China. I think, if there is a chance, I will look into the documents on this in China. How important are the renewables in China? In China, nuclear power is defined as renewable energy. Although many countries see it differently. China also encourages the public and the industry to use renewable energy. How is China's argumentation, for nuclear power to be renewable? It is defined in a very general way. They call it clean. It cannot be drawn out. You can always produce energy. That is basically the explanation. Do they talk about the waste at all? They do talk about the waste. But they don't think that this is contradictory. They say, on one hand, nuclear energy is renewable energy. On the other hand, it produces waste. These are two different issues, but they are not contradictory. Does China have solutions for the waste? They say they have very advanced technologies to dispose all the waste, and they do have a very professional, state owned company, to do so. They say it is all in good hands and the public will have full access and knowledge. However, I think, the public awareness on this issue is not as big as in the Western world. What is the main problem when you look at the exploitation of natural resources from a global perspective? I gained very provocative ideas from the workshops here at the resource summit. I think resources, which are local but also global resources, are a big issue. We definitely need global governance. On the other hand we also need local, mutual or multilateral understanding and cooperation. I think most important is that all the countries should have joint efforts, a joint mission and to some extent consensus on a global level. On the local level and the ground level, the enforcement of global governance but also local action is very important but mostly difficult. Millions of chinese die every year from air pollution. Globally, we have the existential crisis of climate change. And the anti-nuclear boell foundation has nothing better to do then carry their propaganda to China, and top it of with a picture that actually shows a coal plant. A message to the chinese: The German energy transition is a con promoted by the coal and gas industries to perpetuate our dependence on fossil fuels. It is sold as cheap, but it expensive. It is sold as local and distributed, but requires new expensive transmission lines through the whole coutry. Emissions are hardly going down. At 12% wind and 8% solar, further integration is already extremely challenging. Sometimes these sources generate 100% of demand, sometimes only 1%. See Energy-charts.de .